For corporates, multiple systems, banking relationships and processes tend to introduce higher costs, lack of visibility into cash flows, complex approval processes, operational risks, reporting challenges and a general lack of standardisation. The best practices that are emerging includes having a single bank account for the entire group operated by in-House Banks or Shared services centres which maintain internal accounts/virtual accounts of the entities. 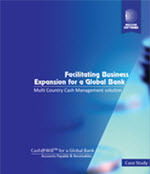 Such structures provides better negotiations with bank for over-all financing needs of the group as well as minimizes the funds tied to multiple accounts thereby optimizing the working capital cost of the group while supporting monitoring of various divisions, units, project performance separately through virtual account maintenance which records transactions by such corporate in-house entities/nodal units. POBO & ROBO features of FinnAxia and BIB supports maintenance of Virtual Accounts of the entities where accounting entries for incoming and outgoing funds information can be maintained helping the cause of maintenance of separate book positions. Such structures provides for better negotiations with bank for over-all financing needs of the group as well as minimizes the funds tied to multiple accounts thereby optimizing the working capital cost of the group. 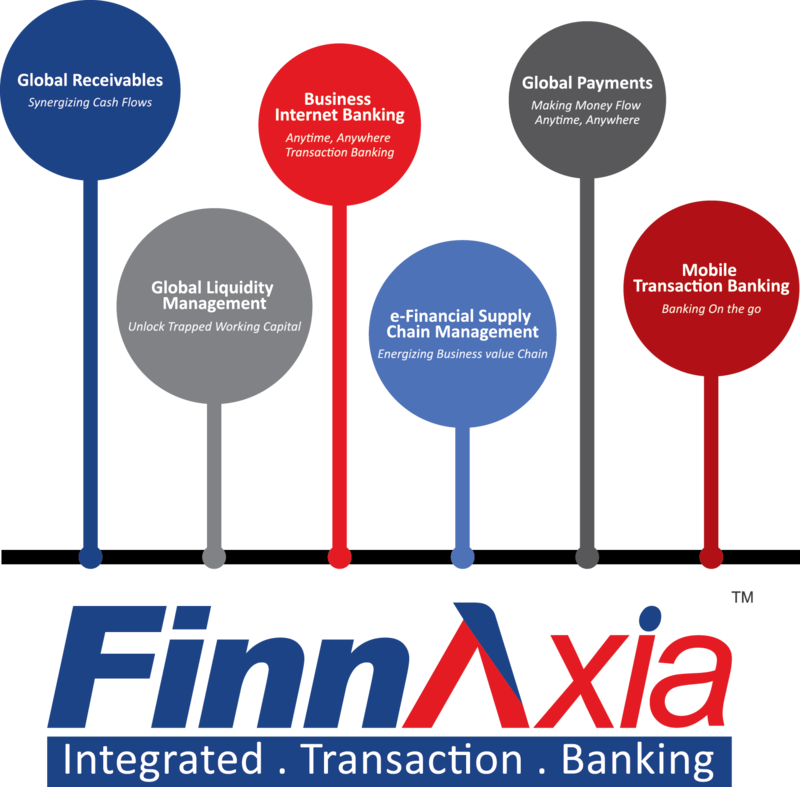 FinnAxia with Business Internet Banking supports corporates' need to reconcile bank transactions against the activities/events in the operating cycle that may have led to such transactions; be it a payments debit in their account or an incoming credit to their account. 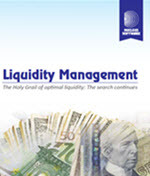 It is able to support corporate fund manager's need to understand these transactions in order to allocate expenses and revenues in the right account head as part of their excellence in management accounting to identify the right cost of product or operations and also for right financial reporting. Developments in regulations like Sarbenes-Oxley Act in the USA have ensured that the exercise of reconciling funds under correct head and reporting facts need to be handled with utmost professionalism. Corporates increasingly prefer to work with banks which can offer effective solutions to help them cut costs as supported by EIPP solution. It often saves the cost of printing & postage and subsequent follow up required for payments and reconciliation of payments with invoices. The corporates are therefore keen to outsource this activity to banks for efficiency so that they can focus on their core business activities. EIPP application of the FinnAxia Product suite support Bank customers to offer Electronic invoice Presentment and Payment services via the hosted model, where invoice data is hosted on bank’s EIPP application/push model as well as service model, where payee customers of bank can make a request to check their invoice from registered service providers and the application will pull invoice data from customer’s application in real time. It also support payee customer to make payment against reference numbers quoted by them without actually checking the invoice subject to such payments being acceptable to the billing customer. Having provided industry proven lending solutions for the banking sector for over 24 years, Nucleus Software’s FinnOne™ was selected for its comprehensive solution. We are confident that our partnership with Nucleus will help us add value to our retail customers.